Earlier this month we had reported that Microsoft is moving Fonts from Control Panel to the Settings app, reducing some of the confusion. Along with this, it was reported that users will be able to download Fonts from Microsoft Store. Microsoft released Windows 10 Redstone 4 Insider Preview Build 17083 to Fast Ring and Skip Ahead Insiders yesterday. 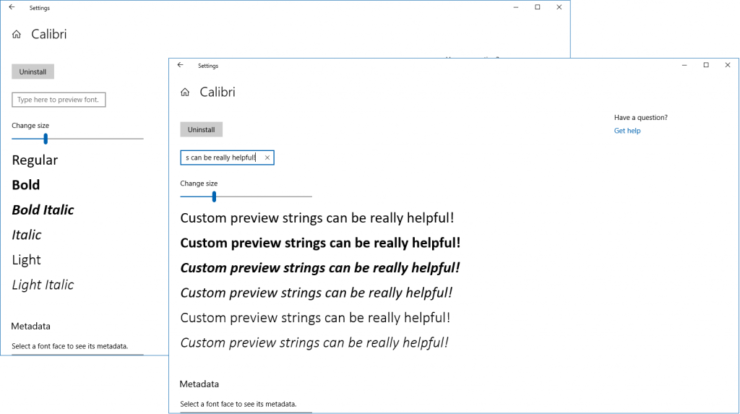 Among other feature improvements, yesterday’s build also brought with it what Microsoft calls “new experiences” for managing Windows 10 fonts in Settings and for acquiring additional fonts from the Microsoft Store. You may be familiar with the Fonts control panel, which you could use to see the fonts that are currently installed, or to install or uninstall fonts. That control panel hasn’t been able to show off newer font capabilities, such as color fonts or variable fonts, and a refresh has been needed. In Build 17083, we’re providing a new Fonts page within Settings. 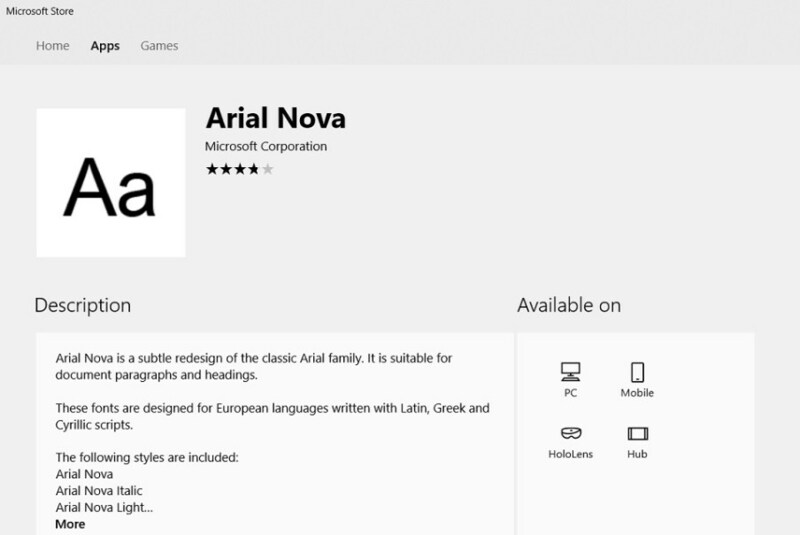 Windows 10 Fonts are now officially live on Microsoft Store as a UWP app (via WindowsLatest). Windows Insiders who are currently on Redstone 4 17040 or later will be able to install the font packages in the Store. The fonts carry a small description along with their styles. 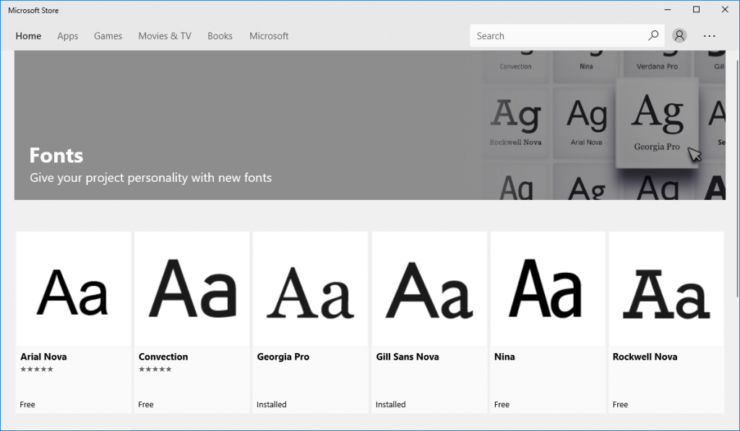 Users can download these fonts just like an app is downloaded from the Microsoft Store. These Windows 10 Fonts can then be managed through the Fonts panel in the Settings menu. Over here, you can preview font families and get their information. You can also choose to preview a custom string. 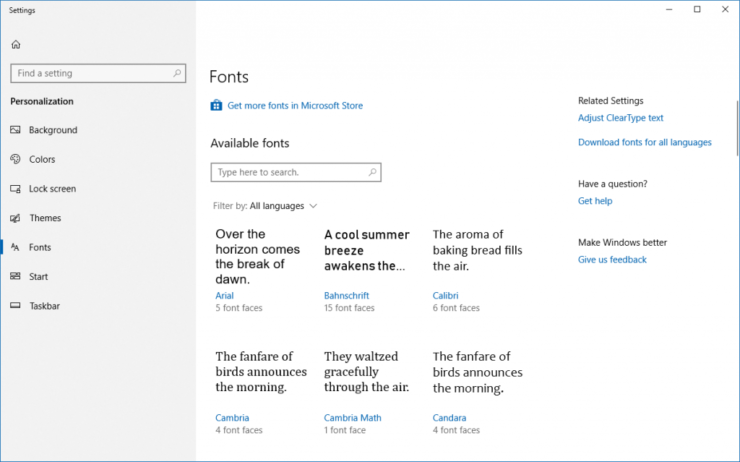 Microsoft has added a link in the Fonts page of Settings that leads to the Fonts collection in the Store to help users easily find new collections. It is expected that this new Settings page will be made available to the public with Windows 10 Redstone 4 releasing in April this year.